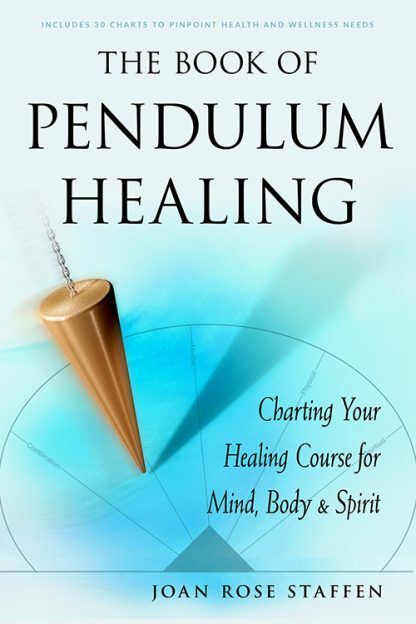 "We highly recommend The Book of Pendulum Healing. Joan Staffen provides a user-friendly step by step guide to help anyone tap into their intuitive abilities by using the ancient and honored method of vibrational resonance. Equally important is Joan�s cogent, powerfully perceptive approach to healing itself. Few of us appreciate or fully consider the multidimensional levels of causation underlying health problems and life impediments. The reader is gifted with invaluable maps and tools for fully assessing the origins of any healing issue; as well as rich array of viable options for its resolution. The lessons provided are practical�the dowsing process provides concrete, visible-to-the-eye answers and solutions�and other easy-to-learn healing techniques such as communication with the angelic realm, affirmative prayer, meditation, and aura clearing are also included. This profound system opens one�s mind to inner intuition and wisdom and addresses many key intellectual, emotional, physical, and spiritual issues.